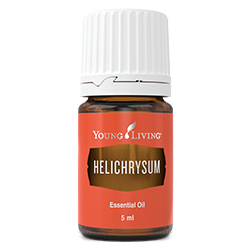 A great essential oil to diffuse when studying or doing homework, Helichrysum has a stimulating, earthy aroma that lifts the spirit. Apply this essential oil topically to enhance the appearance of youthful-looking skin. Helichrysum oil comes from a flowering plant that’s traditionally wild crafted in the mountains along the Dalmatian coast of Croatia. Once ready, the flower is carefully harvested and steam distilled to create the valuable oil. Helichrysum oil uses include diffusing its sweet, stimulating scent during homework and study time, as well as applying the oil topically to support the appearance of youthful-looking skin. Unfortunately, years of overexploitation has led to a decimation of the wild helichrysum harvest, which is why Young Living takes the production of Helichrysum essential oil seriously. Because helichrysum grows best in dry, rocky ground, Young Living imports rock to the Croatia farm to cultivate the delicate plant in an environment that’s best suited for its needs. Utilise Helichrysum’s cleansing benefits by adding a couple drops to your night-time facial cleanser.